Not backing away from Baker Hughes (BHI). Buying the December 50’s- $2,000 worth. I said I would buy the dips in energy; just sticking to the plan. Baker Hughes is a catch-up play. It has not bounced like other energy names but should, since it is a premier services company and just reported strong earnings. A premier oil services company like Baker Hughes is never supposed to trade at such a discount. This is why merger talks began to surface, and the stock jumps 18%. This was just one of the many rounds of calls I bought on Baker Hughes. 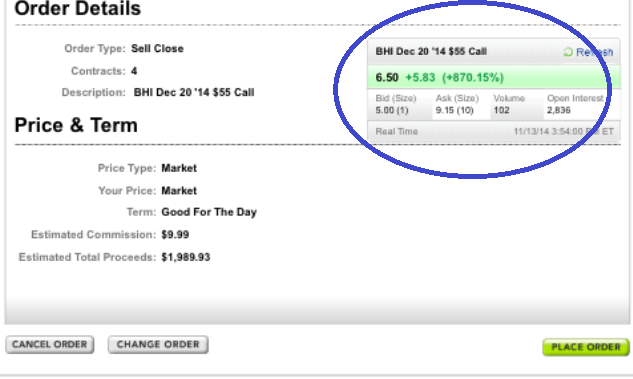 The call option moved up over 800%. 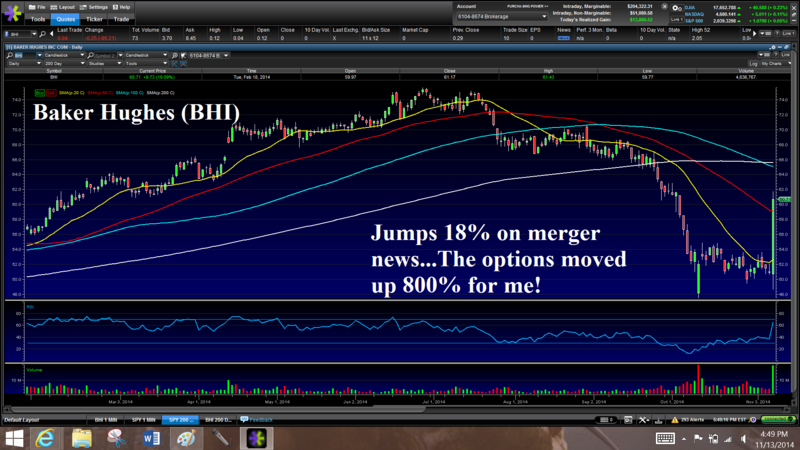 The red box indicates where I got into Baker Hughes and the blue box indicates where I sold. 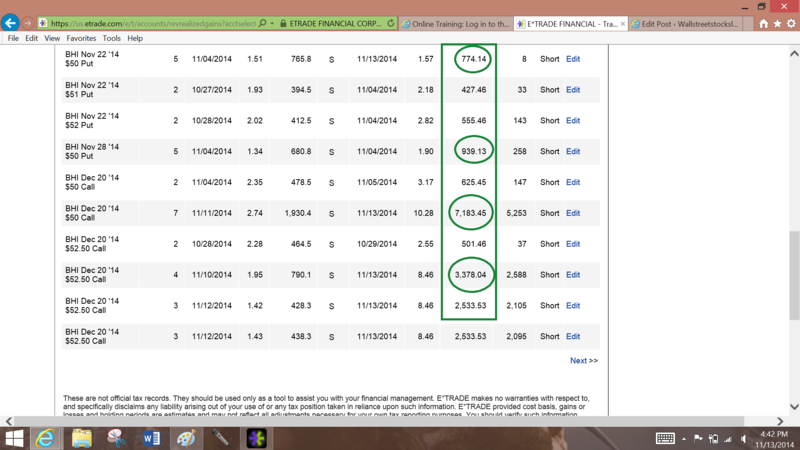 I even managed to make a little money on the puts (fortuitous timing there). Halliburton was also up big on the news, so I sold 3 contracts. 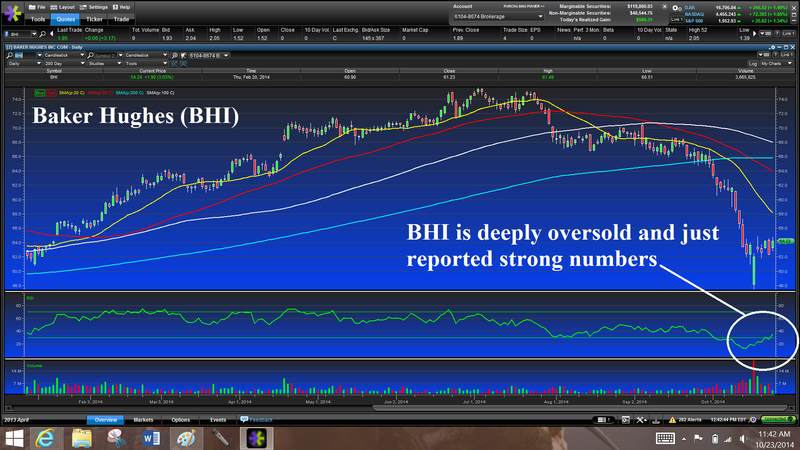 I made a good amount on the calls in BHI.